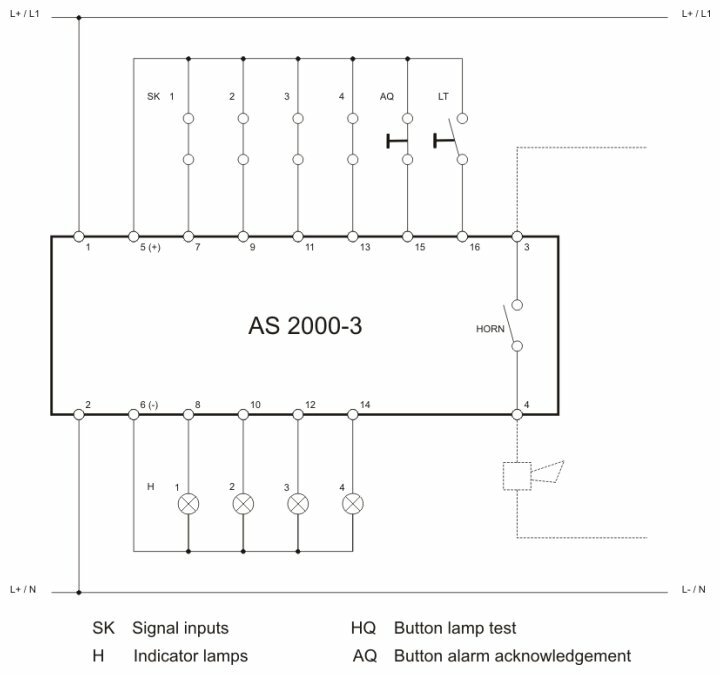 AS 2000-3, the practical annunciator for 4 alarm circuits with normally open contacts, incorporates flasher, horn relay, lamp test and, where necessary, a power supply for the 230VAC version, all compactly mounted in a single enclosure. 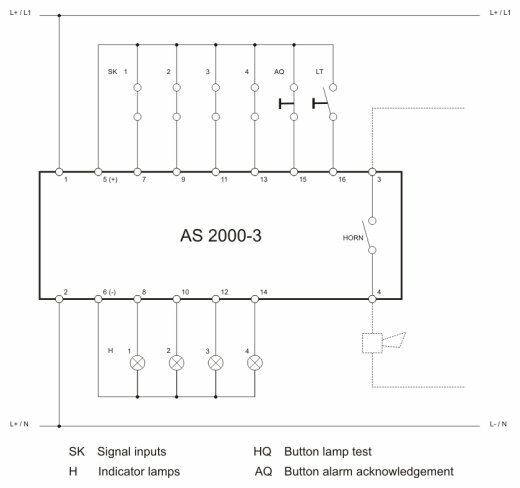 The incoming alarm singals are indicated visually by flashing light and audibly by a horn. All controls and annunciating elements are mounted externally.